How many children and young adults do you know who are excited by ‘safe’, ‘sensible’, ‘won’t date’, ‘goes with anything’? We at Incube are happy to say that we have never met such a child! 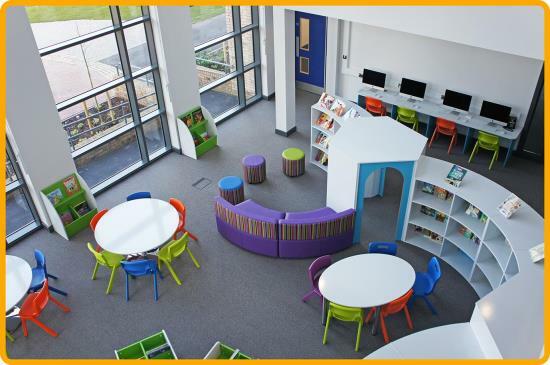 Since the company was established back in 2007, we have made it our mission to create reading and learning environments that truly bring the world of books alive for young readers, providing what can only be described as fabulously funky furniture! At Incube, we really do understand the functional requirements of an educational environment as well as the needs of children and young adults. Many of our team have previously worked in education (our Managing Director is in fact a former teacher) and we employ designers who have between them almost fifty years' experience in the educational furniture, library and bookshop industries. This means that we have a quite unique range of expertise at our disposal, allowing us to approach design from the perspective of the end user, whilst blending practicality with a look that is exciting, inspiring and child-friendly. No wonder everybody loves our vibrant, colourful furniture so much. It is, quite simply, the best that money can buy!